At Abundant Life Elderly Care, Inc. we admit all levels of care. We keep the feeling of a family atmosphere, and most importantly the thought of being home. 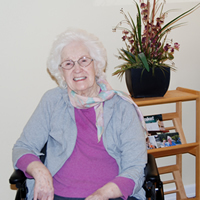 In this warm, loving environment, we explore our resident's personal interests and individual needs. Our qualified and compassionate personal care staff provides quality care with excellent food and services. We serve three family-style, nutritious home cooked meals and snacks/beverages with personal dietary modification.